An ESA-led team subjected Intel's new Myriad 2 artificial intelligence chip to one of the most energetic radiation beams available on Earth. This test of its suitability to fly in space took place at CERN, the European Organization for Nuclear Research. The AI chip is related in turn to an ESA-fostered family of integrated circuits. The Myriad 2 harnesses artificial intelligence for high-performance, low-power vision processing. It can be pre-trained with data to recognise particular features and patterns or perform in-depth 3-D sensing, whatever its customer requires. The chip is run using a pair of twin LEON4 controllers – the latest in the LEON family of integrated circuits developed by ESA with Sweden's Cobham Gaisler company. 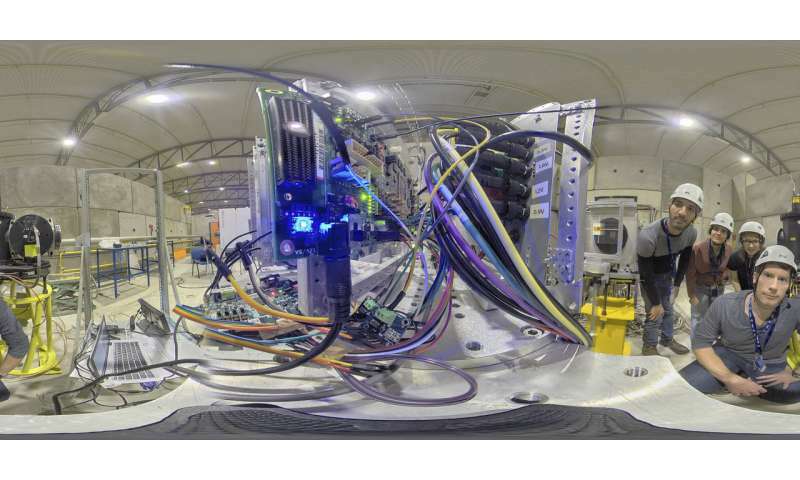 "AI is a way of boosting the performance of any system with a camera in the loop," explains ESA on-board computer engineer Gianluca Furano. "By autonomously figuring out the distance of an object from a camera and how fast it is moving it can take many more and better images. This also offers a means of enhancing guidance, navigation and control – for instance to capture drifting items of space debris. "And it could let us overcome the performance bottleneck faced by imaging instruments on CubeSats and other small satellites. Low data downlink bandwidth due to a small antenna size and limited power levels stops us accessing all the imagery we could acquire. "The Myriad 2 requires less than a watt of power, and would also let instruments identify features of interest autonomously – for instance, spotting sudden flood events or forest fires, then realising these need to be sent down to the ground." 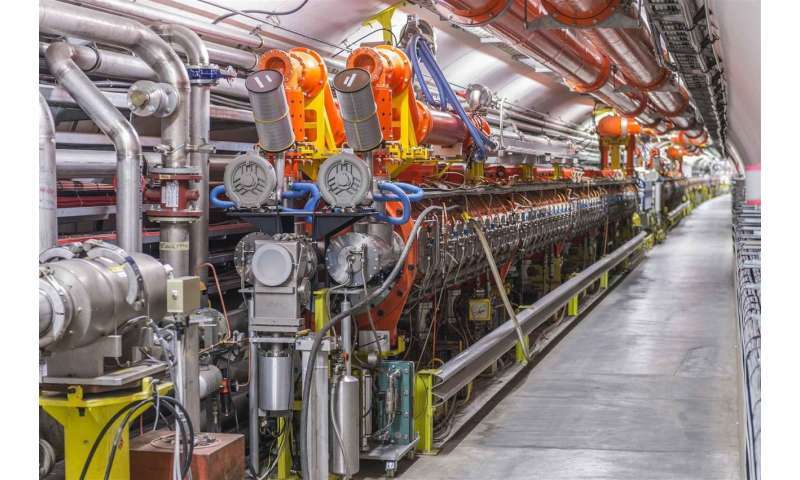 ESA worked with Irish firm Ubotica Technologies to put chips in a path of an experimental beamline fed by the Super Proton Synchrotron (SPS) particle accelerator. Located in a circular tunnel nearly 7 km in circumference, the SPS is CERN's second largest accelerator after the Large Hadron Collider (LHC), which the SPS feeds into in turn. The team donned hard hats and ventured into a ground floor 'cave' surrounded by protective concrete blocks to place items in the beam path, retreating upstairs before the beam was fired. The results are now under study. "The Myriad architecture was originally developed by an Irish start-up called Movidius," adds Gianluca. 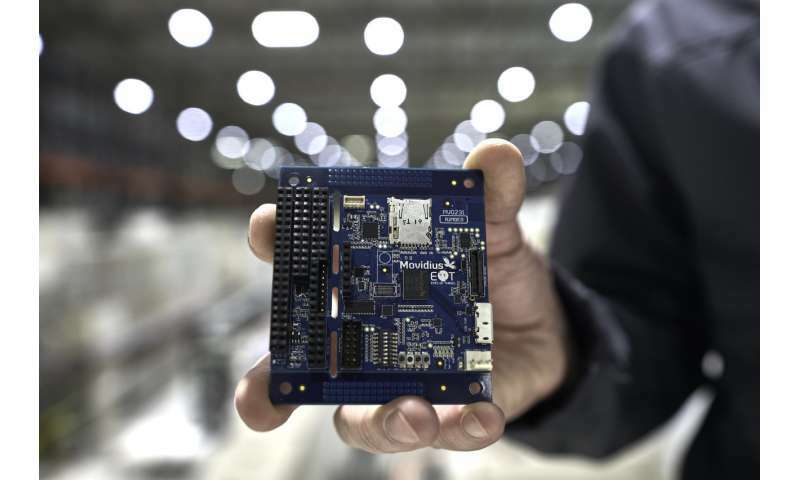 "In 2016, they bought a licence from Cobham Gaisler to use the LEON4 core for their AI microprocessor. The company went on to be acquired by industry giant Intel. "Their adoption of the LEON core shows it was a good idea for ESA to proceed with an open architecture microprocessor. As a small company, Movidius didn't want to tie themselves into a proprietary architecture they were not free to modify, and the fact that the LEON architecture was designed for space meant its high reliability was already proven. "It's a good result for all concerned, because with potentially hundreds, already tens, of millions of customers making use of the LEON architecture we gain a larger user base and feedback to enhance design quality." ESA is studying various space uses for the Myriad 2 chip, including a flight on Italy's Tyvak Mark-I CubeSat, which will carry the HyperScout hyperspectral imager – an enhanced version of the autonomous instrument developed by cosine Research in the Netherlands, already flown aboard the GomX-4B CubeSat – as well as internal and external environmental monitoring of the International Space Station. It is also being considered for maritime vessel recognition use, based on the on-board integration of 'Automatic Identification System' signals from ships.